Just two months after Star Wars: The Force Awakens hit theaters, breaking box office records worldwide, the next chapter in this sprawling sci-fi saga is underway. Disney CEO Bob Iger has announced that shooting on Star Wars: Episode VIII has officially begun. This comes with news that writer and director of the sequel Rian Johnson is making a few special modifications to that galaxy far, far away. Star Wars: Episode VIII was originally supposed to start shooting this past January. Principle photography was pushed back a few weeks to mid-February, just as the release date moved from May 2017 to December 2017. After confirming that the cast was back on set, Bob Iger proceeded to give an update on the entire Star Wars universe as it currently stands. This news all came form The Walt Disney Co.'s quarterly earnings call. First on the agenda was championing The Force Awakens' incredible haul at the box office. It stands as only the third movie in history to make more than $2 billion at the global box office. And the only domestic release to make more than $900 million. The movie has also earned more than $3 billion in consumer products. Moving forward, there is just one goal: 'don't lose sight of what sold all those tickets and merchandise.' Bob Iger went onto say the following. "There is no better way to propel this franchise into the future than producing quality products. Filming of Star Wars: Episode VIII, the next chapter of the legendary saga, has just commenced and it will be in theaters December. And production of Episode IX, a 2019 release, has also begun." Star Wars: Episode IX will be directed by Jurassic World director Colin Trevorrow. While Bob Iger has stated that production on this third chapter in the new trilogy has started, it is unclear what he means. But it's likely that the script is still being worked on. The next Star Wars movie arrives this December with the spinoff Rogue One: A Star Wars Story. Here's what Bob Iger had to say about that movie's progression. "Filming of Rogue One is virtually completed and we absolutely love what we've seen so far. This is the first of a set of planned stand-alone stories and we're already in preproduction on our next one, for release in May of 2018." Rogue One: A Star Wars Story is being followed by the second spinoff Star Wars Anthology: Han Solo. It is being directed by The Lego Movie and 21 Jump Street directors Phil Lord and Chris Miller, with a script from Lawrence Kasdan and his son Jon Kasdan. Though Star Wars: Episode VIII was moved to December, and Rogue One: A Star Wars Story is arriving in December, Star Wars Anthology: Han Solo will be a summer movie, opening in May 2018. Bob Iger ended his call by assuring everyone that ground is breaking on Disney's Star Wars Land attractions later this year at both Disneyland in Anaheim, California, and Walt Disney World in Orlando, Florida. What do you think? Are you more excited than ever about the future of the Star Wars universe? 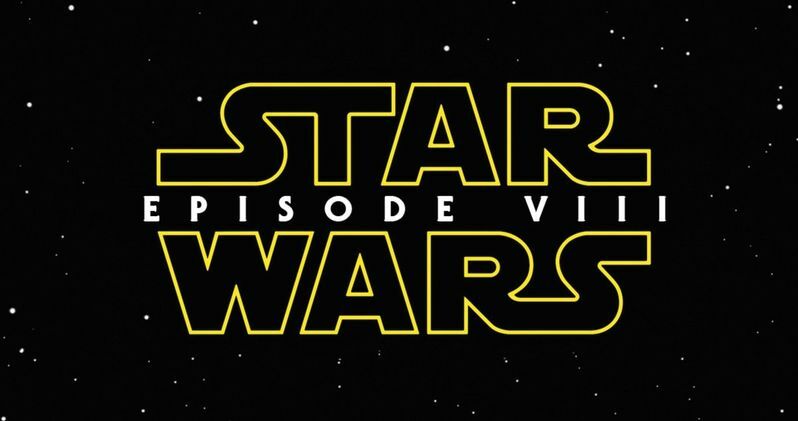 And when will we get our first look at the Star Wars: Episode VIII set? Stay tuned, there's plenty more news coming very soon.